I’m off to Houston to teach. Laura and I will also have our booth there –Booth #1238. I hope you will stop in and say HELLO. 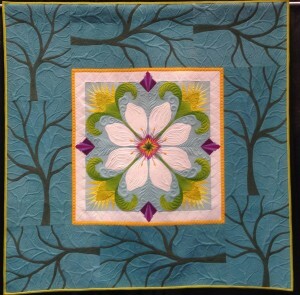 Now that I am home from teaching and judging at PIQF I wanted to share a few photos of quilts I really enjoyed. I feel that judging is such an arbitrary process, every individual brings their own likes and dislikes to the process. 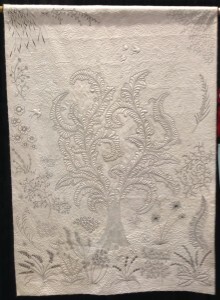 While the cream of the crop always rises to the top, there is usually some debate among judges as to what quilt should get what award. This is all CAUSED by personal opinion, as we all bring our own bias to the process. Keep that in mind the next time you enter a show that has prices and awards or even look at the awards and wonder why this quilt got that and that quilt didn’t get anything. I really thought these two quilts were special. THAT WAS MY personal opinion. They each won major awards so I am pleased. They are both so unique and original and so very well made that of course they would have received an award. 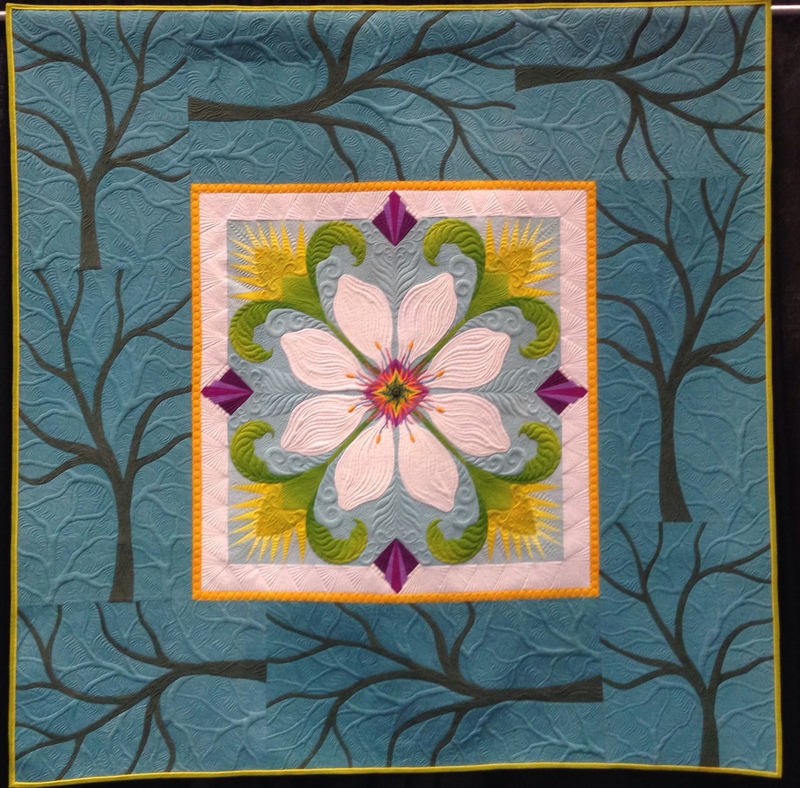 When I look at quilts I want to see something that is original and different. It goes without saying that it must be well made. 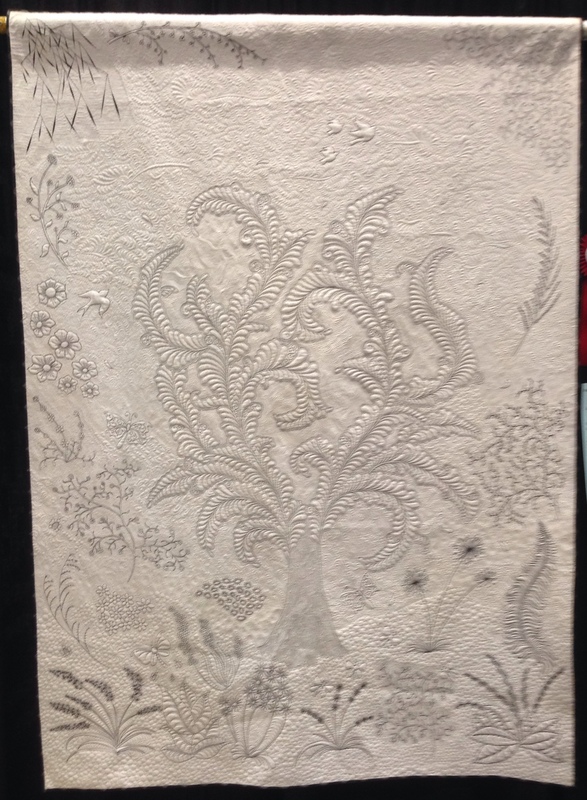 This quilt is so different than anything I have seen in shows lately, it combines traditional with modern in a well proportioned design. 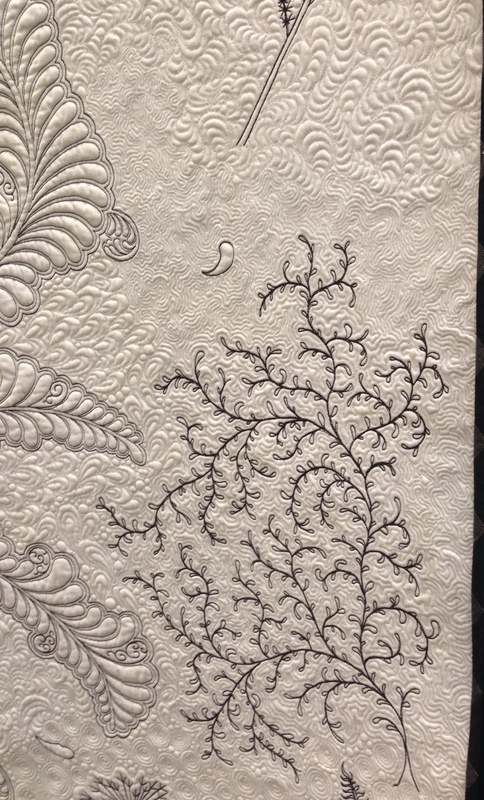 It is beautifully made, it has unusual color choices and it is exquisitely quilted. Jenny will also be teaching in Houston this year. These photos just don’t do this quilt justice. It is a whole cloth quilt. 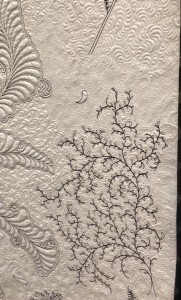 It is a wonderfully original and unique quilt that is also exquisitely machine quilted. I would own this quilt in a heart beat.